This is étude No. 12 from Ernesto Köhler's 25 Romantic Studies, Op. 66. 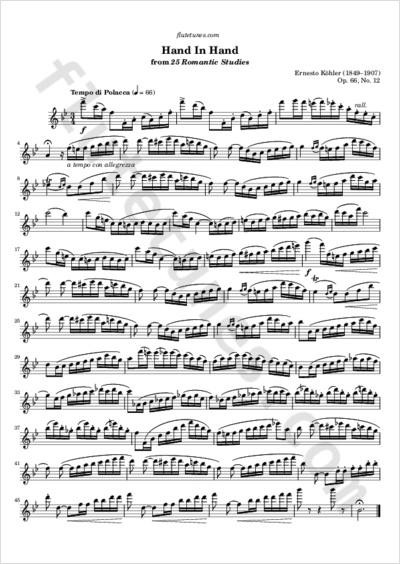 It is not particularly difficult, but it is important to play this piece with a vigorous rhythm so that it resembles a polonaise, which is a rather slow dance. Each time you meet two eighth notes on the first beat, play the first one very short and stress the second one.